On November 28th, our community will come together to ROC the Day, and The Landmark Society hopes to make it a huge success. ROC the Day is a 24-hour giving opportunity to support all eligible not-for-profits in the nine-county Greater Rochester area. Community members are encouraged to visit ROCtheDay.org, a secure online giving platform, to contribute to any participating not-for-profit organization. All money given during ROC the Day stays local. Donors have the ability make an impact by giving to one or multiple organizations to support their personal philanthropic passions. Donors and not-for-profits can share their investment with friends, family, coworkers and social networks to increase awareness for this community-wide effort. As in past years, all ROC the Day donations will be directed to our Preservation Grant Fund. This vital program provides pre-construction funding to help get preservation projects off the ground. Since we launched the program in 2012, we’ve provided over $60,000 to help save at-risk historic places in communities throughout our region. 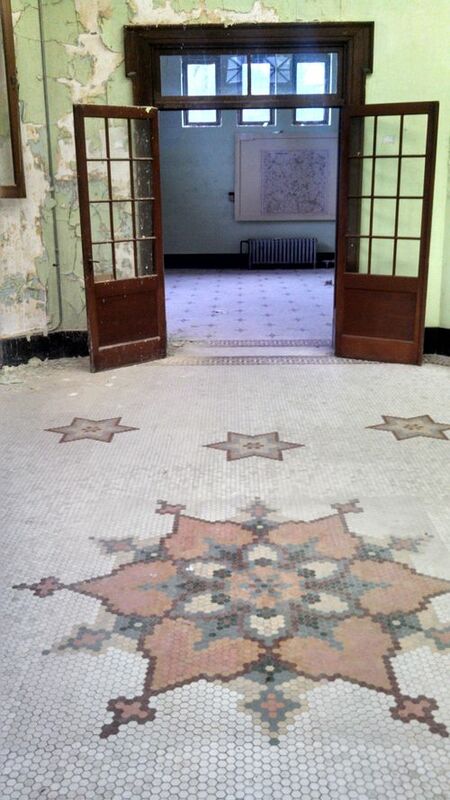 These places include town halls, houses of worship, community gathering spaces, cemeteries, schools, and more. 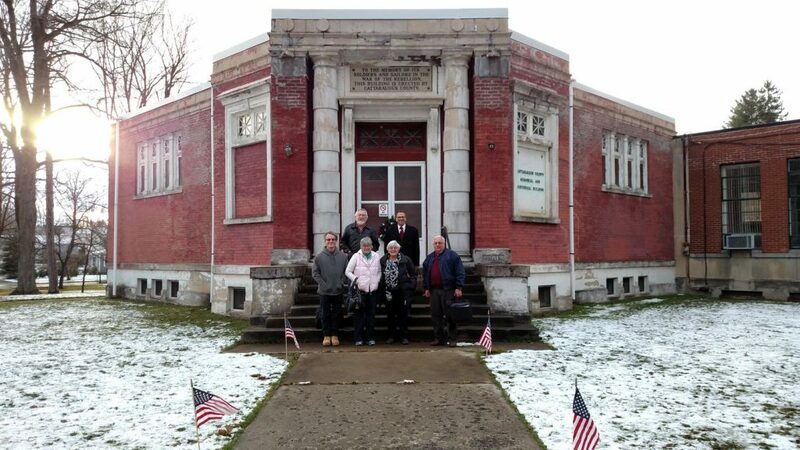 One of our past grant recipients and subsequent Five to Revive properties was the Cattaraugus County Memorial and Historical Building in Little Valley, NY. Built in 1911, the Memorial Building is a unique example of a Civil War Memorial that was designed for use as a municipal building. An elegant Neoclassical style building, it once housed a library and, until 2004, the County Historical Museum. In 2013, county officials announced plans for its demolition. We worked with a newly formed advocacy group, Citizens Advocating Memorial Preservation (CAMP), to rally around this important building. A grant from our program helped fund a feasibility study and set the stage for CAMP to negotiate a transfer of ownership from the County. 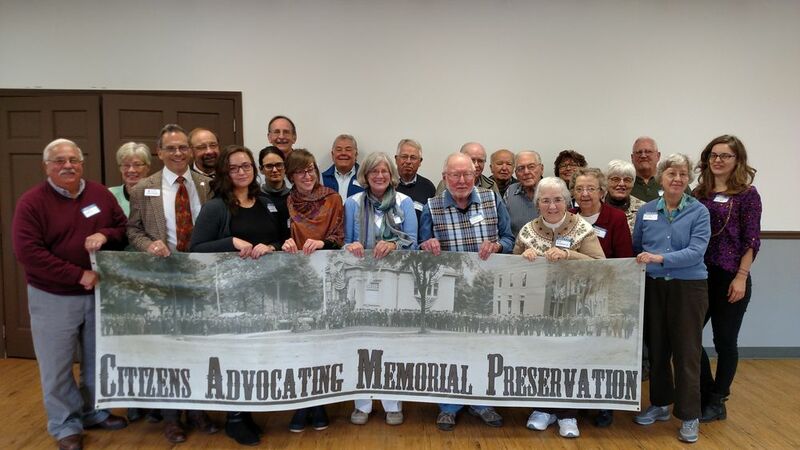 Citizens Advocating Memorial Preservation (CAMP) was awarded a grant from the Landmark Society’s Preservation Grant Fund which allowed CAMP to save the Cattaraugus County Memorial and Historical Building from the wrecking ball. This grant along with the continued support from the Landmark Society allowed CAMP to gain title to this Civil War Memorial building on October 4, 2017 and will now help CAMP move forward with its preservation and restoration efforts to “ RELIGHT THE DOME OF COURAGE” to honor the County’s Civil War Veterans. After years of hard work and dedicated passion, we are delighted to see that the Preservation Grant Fund helped lead CAMP towards a positive outcome for this building. Your donation to the Preservation Grant Fund during ROC the Day on November 28th can help ensure more success stories for historic places that matter to people in communities large and small across our region. This entry was posted in Updates by Caitlin Meives. Bookmark the permalink.